Maimonides was not the first rabbinic scholar to take an interest in philosophy, but he was unique in being a towering figure in both areas. His law code, the Mishneh torah, stands with Rashi's commentary on the Babylonian Talmud as one of the two most intensely studied rabbinic works coming out of the Middle Ages, while his Guide of the Perplexed is the most influential and widely read Jewish philosophical work ever written. Admirers and critics have arrived at wildly divergent perceptions of the man. We have Maimonides the atheist or agnostic, Maimonides the sceptic, Maimonides the deist, Maimonides the Aristotelian, the Averroist, or proto-Kantian. We have a Maimonides seduced by the blandishments of 'accursed philosophy'; a Maimonides who sowed the seeds that led to Spanish Jews' loss of faith and mass apostasy and who was therefore responsible for the demise of Spanish Jewry; a Maimonides who incorporated philosophical elements into his rabbinic works and wrote the Guide of the Perplexed not to propagate doctrines to which he was personally committed but in order to rescue errant souls seduced by philosophy; a Maimonides who was the defender of the faith and defined the articles of Jewish belief for all time. In his own estimation, Maimonides was neither exclusively a dedicated philosopher nor exclusively a devoted rabbinist: he saw philosophy and the Written and Oral Torahs as a single, harmonious domain, and he believed that this view was similarly fundamental to the lives of the prophets and rabbis of old. 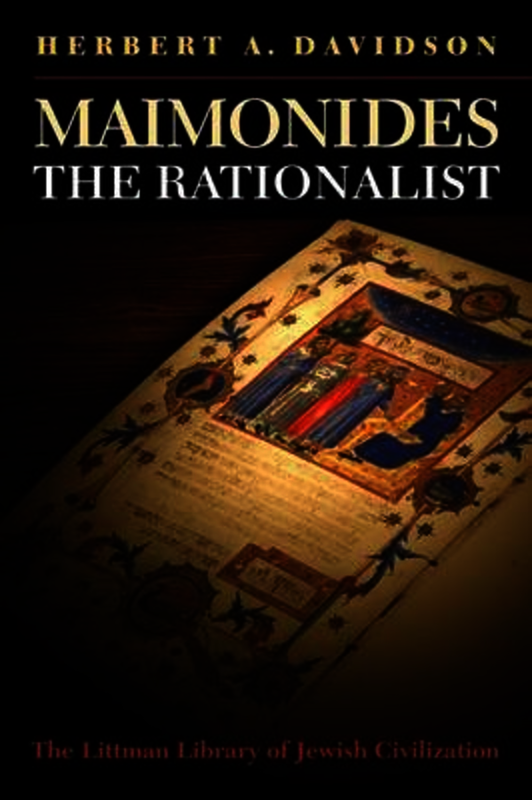 In this book, Herbert Davidson examines Maimonides’ efforts to reconstitute this all-embracing, rationalist worldview that he felt had been lost during the millennium-long exile. Herbert A. Davidson is Professor of Hebrew Emeritus and Research Professor at the University of California, Los Angeles. He is the author of 'The Philosophy of Abraham Shalom', 'Proofs for Eternity, Creation, and the Existence of God in Medieval Islamic and Jewish Philosophy', 'Alfarabi, Avicenna, and Averroes on Intellect', and 'Moses Maimonides, The Man and His Work', and editor of a medieval Hebrew translation of Averroes' 'Middle Commentary on the Isagoge and Categories' (and translator of the English edition of this).